Live Your Poem...: Behold, My 2018 One Little Word! Thanks for posting your word! I didn't know about the roundup, but I went ahead and linked my post from the other day. Happy New Year! Great word, Irene! I would never have thought of choosing it but you make it so magnetic (I wish I'd chosen it). You are a champion beholder already and I know this will only make you more so. I know you're in for a wonderful year. "What if we were to behold each other every single day?" -- beautiful!! Beautiful OLW choice, Irene. 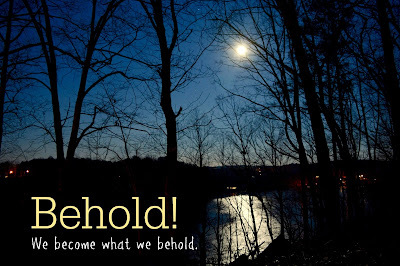 "We become what we behold" reminds me of my word for this year: Manifest. I'm focusing on thinking and speaking about the peace and creativity I hope to see in the coming year. "We become what we behold." Wow! 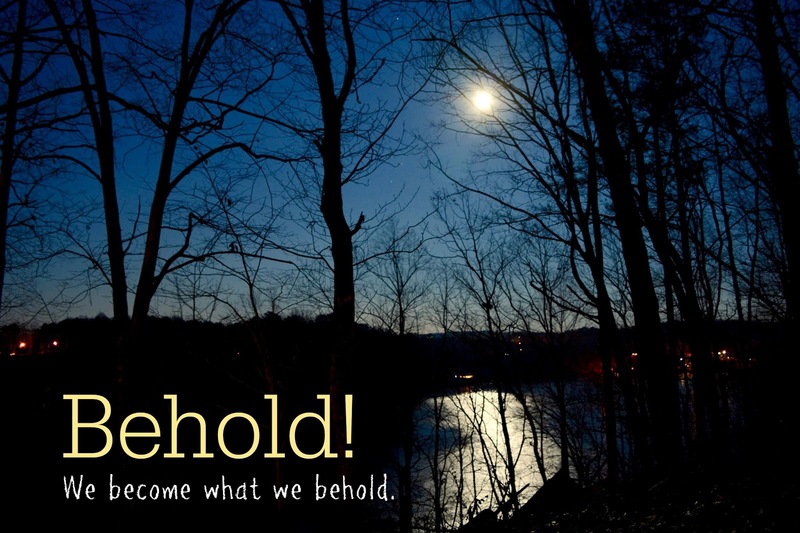 Behold reminds me of the girl in "The Best Christmas Pageant Ever" who yells at the top of her lungs, "Behold! I bring you tidings of a great joy!" Here's hoping all you behold brings you Great Joy! Did you link this post? I don't see it on the link up. Thanks. Oh, I love that Les Mis quote, Irene! (I loved it more before I could behold it on my daughter's arm from her latest tattoo...:-)) May your 2018 behold many wonders!